This is such a quick and easy dinner, yet tasty and impressive – what more could you want? Rather than a recipe I give you some basic instructions for you to play with. Slice some onion and mushrooms and fry for a couple of minutes in olive oil over a medium heat. Turn the heat up high, add some good steak, sliced, and continue frying, stirring regularly, until everything is cooked through. Keep warm. Cook up some pancakes and then put some of the steak mixture into the middle of each one. 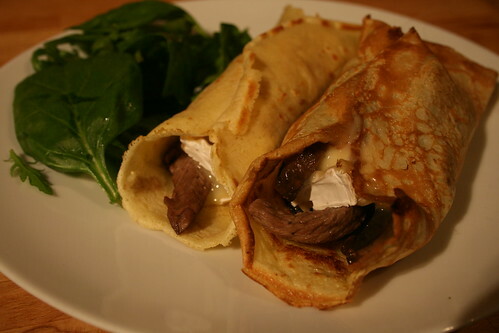 Add a thick slice or two of camembert to each pancake. Roll the pancakes up and bake them in the oven at 200c for 5 minutes or so until the cheese starts to melt. Serve straight away. Yum! This looks really delicious. I might just have to make this. Wow! wonderful pictures.. .Mouth watering dish…. I like that you gave an outline of what you did instead of a formal recipe. 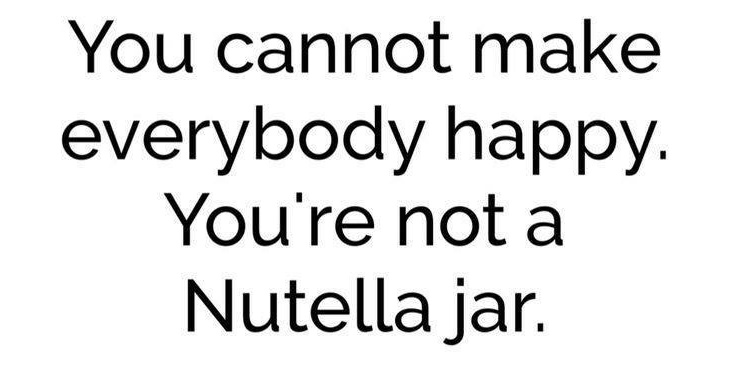 It encourages people to be creative, which is really what cooking should be about! Lovely combo, though will leave you the pancakes and take the filling if thats okay mmm! I don’t very often eat savoury pancakes but this is a great reason to have more! Oh wow – that looks and sounds positively delicious. I can’t wait to try it. Thanks. Brittany/Sean – yes it’s how I like to cook all the time, much better to go with your own taste and instinct. Sean gorgonzola would be fab. Occasional Martha – oh I’m so pleased it went down well. Thanks very much for the feedback; you’ve made my day! Oh yum! This sounds unique and delicious, I’m going to try it straight away. Thanks!! And congrats on making Times’ list of best blogs!!! !